Yoast Technical SEO 1 Training Review - Affiliate Resources, Inc. The Yoast team is pretty respected in the WordPress SEO community thanks to their plugin Yoast SEO. For that reason, any training that they offer should be top notch, right? Well, you may be surprised by what I’ve learned by completing this Yoast Technical SEO 1 Training review. Yoast is an SEO company that was originally created by Joost de Valk a few years back. They have landed themselves in the limelight by creating a very impressive SEO plugin for WordPress that is debatably the go to SEO plugin for the industry. They have also created a great blog with some really good information on how to better optimize your WordPress websites to not only perform better on the search engines, but also deliver a better end user experience for the visitors to your website. 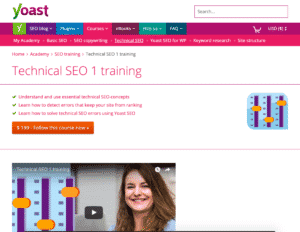 So, What Is Yoast Technical SEO 1 Training? Unfortunately, Yoast has become derailed just a bit from their roots with this training. First, while it is good training for the technical aspects of SEO, and it’s very technical, unfortunately it really doesn’t apply that much when it comes to WordPress based websites. The things that you are learning about in the course are more geared to traditional html sites than they are to WordPress. Now, I know that nowhere in the sales letter does it say anything about being a course for WordPress, but given the reputation and background of the Yoast group, I would assume that since they’ve built their entire reputation on WordPress optimization, that the course would have felt a bit more useful for the platform. They do deliver on how to repair some WordPress SEO issues using the Yoast SEO plugin, but the information inside can be found on several different YouTube videos that have been around for years. Basically, if you take the time to learn how to set up the Yoast SEO plugin the right way by following a good video, then you will have no need for the course at all.  How Much Does Yoast Technical SEO 1 Training Cost? Honestly, this is something else that really bothers me about this course. First, it is said that it is the technical SEO course, but what isn’t mentioned is that if you want to have some real SEO results with the Yoast training, then you’re going to need to get a few more courses. For just this one, the cost is going to set you back $199. If you want to improve your overall SEO results, then you’re looking at investing almost $1,000. Why $1000? Well, for starters, before you really get into the technical aspects of SEO, it’s important that you have a basic understanding of what SEO is and how it works. This is covered in the Yoast Basic SEO course that will cost you another $199. Once you have a basic understanding of what SEO is, then you need to understand how to be an SEO writer. While it sounds simple, it does have its’ little nuances that you need to know about. This is covered in SEO Copywriting Training course for another $199. Then you finally get to jump into the course mentioned above, Yoast Technical SEO 1 Training, for, you guessed it, another $199. After that, you can take the course on WordPress SEO, which is what almost every single affiliate site on the planet is on, for, here’s a shocker, the low price of only $99. Once you’re done with that, you’re going to need to understand how to do keyword research and setup your site structure, which the Yoast team offers training on, for $99 respectively. This brings the total cost of all training necessary to understand SEO for a WordPress website to a whopping $894! While these courses focus on a very specific individual area of SEO, it’s very important to note that to have good results, it’s important to roll them all out together. Also, since these courses all focus on unique areas, you will find that there’s quite a big disconnect when you’re trying to learn how to piece them all together to have success with your SEO efforts. the problem is that there isn’t a lot in here that applies directly to WordPress, and if you must code, you’re on your own. Basically, if the plugin won’t fix it, good luck. NOTE: If Yoast SEO is setup right, you won’t have problems to begin with. Honestly, who cares. I want to know how to get my sites to rank better. I really couldn’t care less about the why, just give me the how. Again, I think most people would agree that the why of things doesn’t matter nearly as much as the how to. Yes, some things covered directly apply, but most information is for sites that are designed with html, and the rest is covered by a plethora of Yoast SEO plugin tutorials available on YouTube. As mentioned above, you’re going to need more than just this course to really have any results with your SEO efforts. The total cost for all training to get these results is $894. Are There Any Courses That Give You More For Less? As I mentioned above, the fact that you must use a lot of additional supplemental training courses offered by the Yoast team to get real results, is both frustrating and expensive. If you are a fan of Yoast and want to $200 on technical SEO training, then the Yoast Technical SEO 1 Training is for you. I personally recommend using Wealthy Affiliate as your source for SEO Training because they have ongoing, up to date training on SEO and makes it simple to learn. Along with training on SEO, they also have the tools you need to get started with your own website, hosting and domain name – all in one dashboard. Below you will see a simple comparison chart between the core features that Wealthy Affiliate has and the Yoast Technical SEO 1 Training. You end up getting way more value with Wealthy Affiliate as not only do you get SEO training, but all the tools and support needed for a successful SEO campaign. You can learn more about WA via my Wealthy Affiliate Review, I’ve been an active member for over 10 years and make it my top recommendation for any person who want to get started and run a successful online business. Seems to me that any tool that requires that much learning at that much cost is getting way out beyond where most of us WordPress people live. Perhaps they are not clear as to whom their intended audience is? You are so right Jay, all we care about is getting the job done well so that our site gets seen and visited. Jay, Thanks for this review. It is interesting as I have got 2 websites done but haven’t really done any SEO on them yet. Will have to search for the right way to do SEO with the Right Plugin and Right training. I am the type of guy that just wants the quickest and easiest way to get something done and this training with Yoast certainly does not appear to do it.. Thanks again for this detailed review. Your title hooked me in first of all, as I am always striving to learn a little it more about SEO. After all, competing for web traffic is pretty tough these days. Having a couple of WordPress sites already, this training doesn’t sound that specific to me and the costs at this stage of my business are just ridiculous. Things get interesting when you mention Wealthy Affiliate, as I’m a member too. Even though I’m a qualified marketer (albeit in a corporate and traditional sense) I have learn more about digital marketing and SEO from Wealthy Affiliates, than everywhere else combined! I noticed in the pop-up that you share your knowledge to creating a site that makes $300 a day. I know these things take time and effort, but do you feel it took you long to get to that point? Anyway, I enjoyed reading your take on this particular Yoast training. Wow! At that price it definitely puts it out of the ballpark for most people starting out with internet marketing. I wonder who their target audience is? People who are already making enough money to afford the training and hope to take their site to the next level? I would much rather pay for the premium membership at Wealthy Affiliate – there is just so much more value for money there. I can’t see Yoast doing very well with this training, or creating successful online marketers with it. It’s been awhile. But I’ve been working on a complete redesign of my company site and I have been debating between All-in-One vs Yoast for SEO, and I noticed you used Yoast Premium on Magistudios. Do you feel as a local business that it’s better at this time? I agree that if you need plugin support there are some great videos available on YouTube free of cost. That’s a wonderful review on Yoast but I have a doubt, am following your blog these days and observed one thing is that in this review articles, at last you are suggesting wealthy affiliate. Anything to that or you don’t have any thing better than wealthy affiliates ? That’s too much for seo training. Although it may be fair to others based on the previous success with yoast plugin. I wanted to give it a go but after I heard it’s techy, and $894 expensive, I can’t look at it twice. I guess wealthy affiliate will make a better alternative for me. You said there is a keyword tool also, right? I hope there are no extra costs for it, are there? Cause I’ll need to use it regularly for my campaigns. Seems to me that the fact this training doesn’t apply to WordPress based websites means it is irrelevant to a big part of the market, also it does seem hugely expensive to get any real results. Wealthy Affiliate seems much more comprehensive and affordable. Thanks for the great review which has helped me make my mind up. Thanks for the frank review of Yoast Technical SEO training. Most SEO knowledge I have is from doing my own online research, which has been time consuming however, it was free and effective,which is important for me. I’m surprised at the cost of this training, especially considering it is not particularly relateable to WordPress. I figure if you say it is too technical I am out of the picture, lol. Great review, thanks for the great information! It seems to me that Joost de Valk and the team at Yoast simply presented this new SEO training with the full intention of making the money without really providing useful value to people who are looking to improve their SEO knowledge. As you mentioned, I could learn to set up the plugin the right way by following a good video which is nowadays easily found on youtube. Furthermore, I could get some solid pointers about SEO from Brain Dean (Backlinko) without having to spend a lot of money. The Yoast Technical SEO 1 Training may be for some people, however, I have to take a pass on this one. If what you say is true than is program is just another up sell of products that’s already out on th e internet. Why would anyone pay all that money when they can search the web or you tube? I mean what can Yoast do for me that you tube or a search on the web can’t? Seriously, you review a competitor to an affiliate of yours? Give me a break. People, do not trust this person. Yoast training: What a Joke! I can see why they have small print in their refund policy. The review may be valid from the point of view of an affilate business owner running a WordPress site, but Yoast do more than just build the SEO plugin (which I have used for years – both free and paid versions). That said, some of their training is clearly not aimed at you guys who only paddle in SEO to ankle depth. Professional SEOs who work on a range of sites, both WordPress and non-CMS html sites, need a far broader set of skills and knowledge than people who expect a plugin to do all their optimisation for them. It sounds as if the course just contained information far beyond the reviewer’s level of SEO interest or competence. It may well suit people who work on a variety of sites, or who are technical enough to work hands-on with the html and php of the WordPress sites.